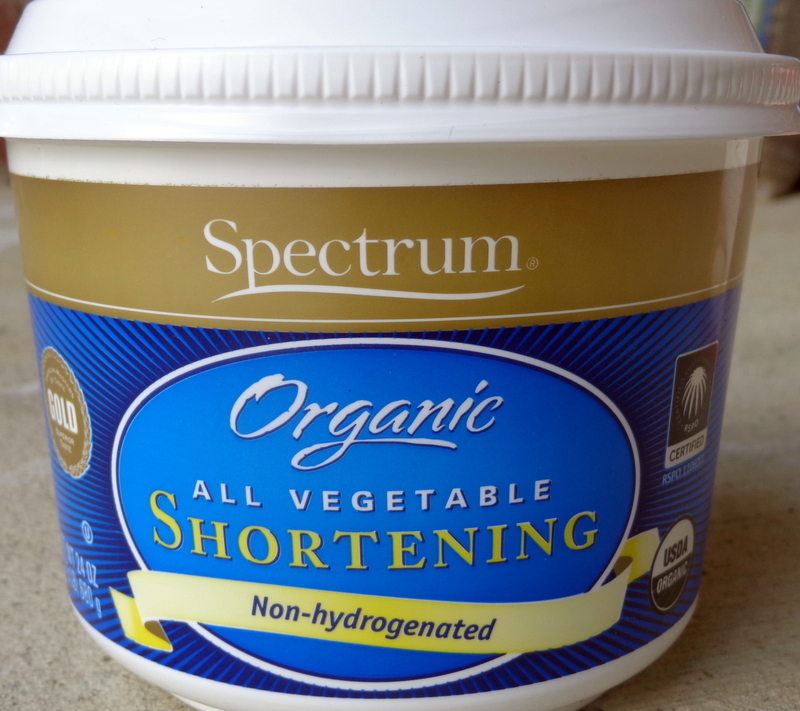 Here’s a review of Spectrum brand organic shortening, that can be used in place of regular shortening. Crisco, the widely used vegetable shortening may claim that it has 0% trans fat, but is made by partial hydrogenation that will still introduce trans fats below the threshold for declaring it. It has other unhealthy stuff as well. The Huffington Post has a good article about it. A recent Time magazine had a cover story titled “Eat Butter” (!) All beliefs about fats are now undergoing a change. Now, the recommendation by health experts is to consume fat in the whole form, which includes butter. Yes, it is all confusing! If you’re interested, I recommend reading “In Defense of Food” by renowned journalist Michael Pollan. 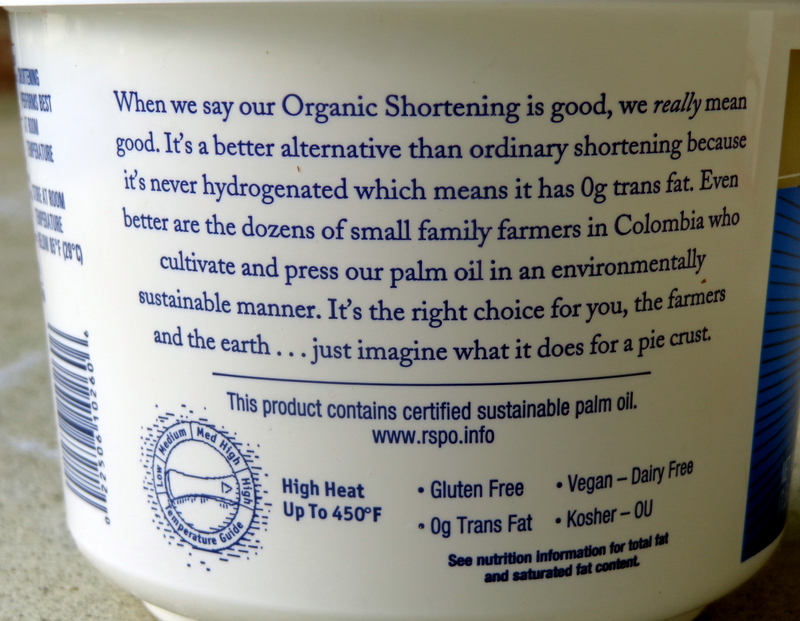 My personal choices for saturated fat are organic butter, coconut oil and homemade ghee. Once in a while, I use Spectrum shortening which, according to the information on the box, is made in a sustainable manner. 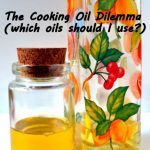 Available in regular and butter-flavor, it is only $2- $3 more expensive than Crisco, and it works equally well in cookies, pie crusts and other baked goodies, and you can feel less guilty about eating those! 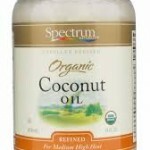 I know this product well and use it occasionally. thanks for reminding me. thanks for the review, Jovina!